The Darlinghurst Court House is a sandstone building located on Oxford Street at Taylor Square, in the inner city suburb of Darlinghurst. It is still used by the New South Wales Supreme Court. The central block, designed by Mortimer Lewis, was built in 1835. The nearest parking area is St Vincent’s Hospital. Entry is via Oxford Street.  Visit Sydney Criminal Lawyers® for Criminal Defence Lawyers in Sydney.